As many of you may know, I have held the position that the last generation of Chrysler 200 (specifically 2015 model in “Ceramic Blue”) is the best looking 4-door sedan ever built. In my eyes it is the paramount of exterior design excellence and it is a beauty to behold. That opinion might have changed. The other day I was driving and saw a rare paragon of beauty. 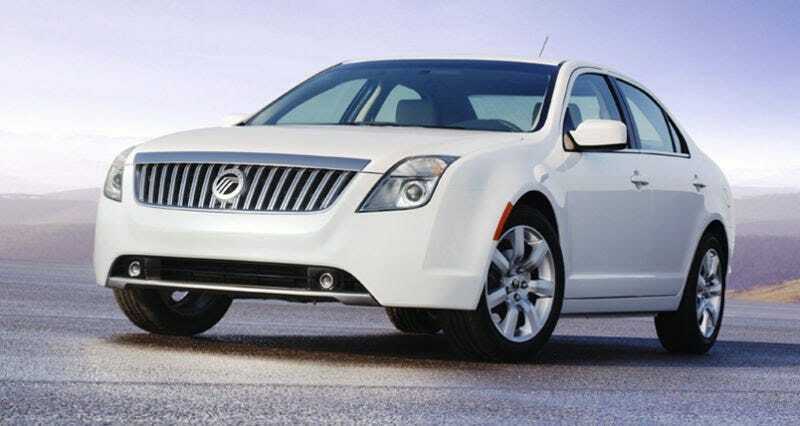 I present for your consideration, the 2010-2011 Mercury Milan. As the long history of Mercury drew to a close the Milan was introduced as the lowest model in the Mercury sedan range. On paper, the car is unremarkable. The car’s roots as a Ford Fusion with a new face is obvious with a glance. Interior photos indicate that it was most definitely in the “I’m a mid-sized Ford” territory. With all that being said, somehow the designers managed to create a master work of design that really stands on its own independent of the platform it was based on. In my opinion the exterior design perfectly embodies what I’ve always understood Mercury to be as a company. It’s understated, slightly aloof but not unattainable. Smooth, clean, lines accent the uncluttered design ethos of a Mercury. A Mercury Milan says, “I live comfortably. I want something eminently practical but I want style. I dont want to buy a Lincoln because I’m a working man who doesnt want to show off, maybe when I retire”. Whether or no the Milan lives up to that or not is irrelevant. The designers were handed a bland hunk of Ford, and sculpted it into the rolling essence of Mercury. Along the way the crafted a piece of art, and a tribute to one of the truly great old American auto-brands. The kings is dead, long live the king!